After all the hustle and bustle of Christmas, Motor Man and I recently slipped away for a little Outer Banks fix. We were on the beach at sunrise last Friday. In the winter, the beach is pretty much our own at that time of day. Every few minutes, the sky changed, requiring, of course, that I take another picture. It was quite brisk, though, so although I stepped out for a few minutes to pick up seashells, I didn’t tarry long outside the Jeep. But, both going to the beach and coming home, we stopped to see our friend, Aggie. She doesn’t have a 50-feet distance ordinance. We’re just two members of her huge fan club, and she’s always happy to see us treats. 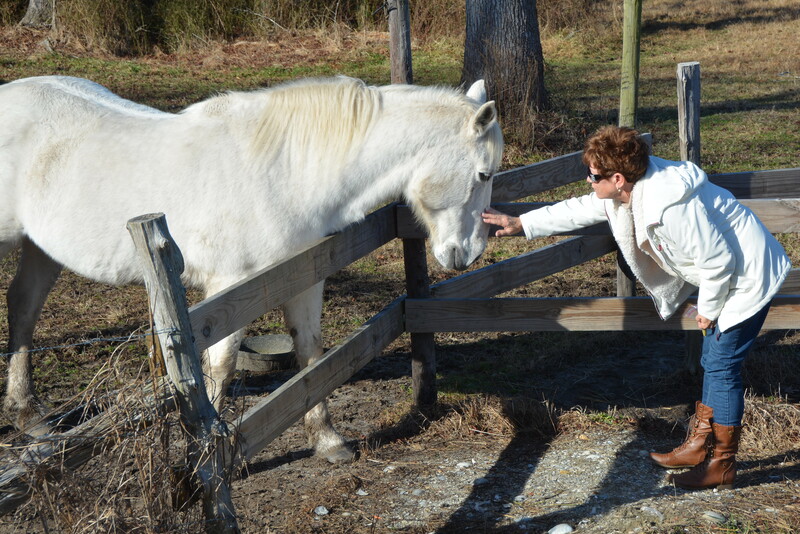 Our trip was a short one, but fun and relaxing with beautiful scenery….and horses. 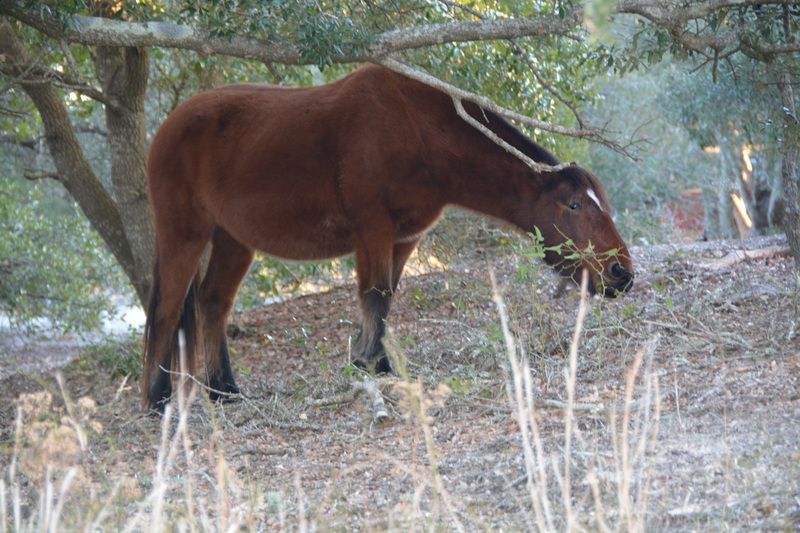 This entry was posted in Family, OBX Wild Horses, Sunrises/Sunsets, Traveling Days and tagged aggie, corolla wild horses, OBX. Bookmark the permalink. Beautiful beach shots…..it’s so cold and quiet looking in winter…..Aggie looks quite happy to see Miss Dianna and her treats! I think Aggie loves you as much as you love her…or is the treats you have that’s the attraction. It’s always a good idea “to get out of Dodge” and clear the mind. Looks like you did just that. Love that first shot of the beach. Beautiful. Aggie waits for your visits I am sure. What a treat! I love seeing this slice of paradise through your lens! 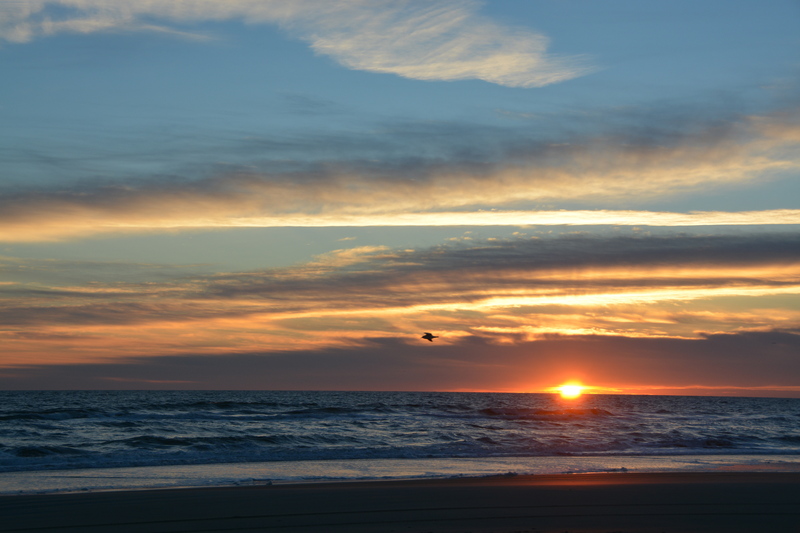 Beautiful sunrise beach shots. I love horses with their furry coats. It’s one of the things I miss most. I loved the feel and smell of Lizzy’s thick soft winter coat. Amazing winter sunrise! I can tell Aggie was glad for your company – both times ! Sweet Aggie shots and love the winter coats on the horses. I admire you for getting out of jeep to go on cold beach-even though the sea shell selection should be awesome in winter! Nice! And a little bonus for you seeing your favorite horses. 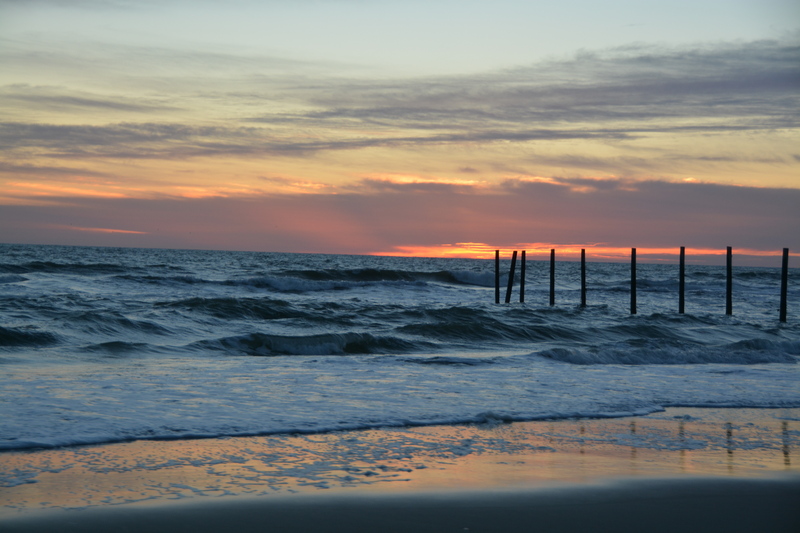 There is nothing like the Outer banks for beautiful and fun pictures.. Aggie welcomed your Christmas visit! The beach looks beautiful in the winter. . . And, Aggie looks like she enjoyed your visit. That was a trip well worth making. 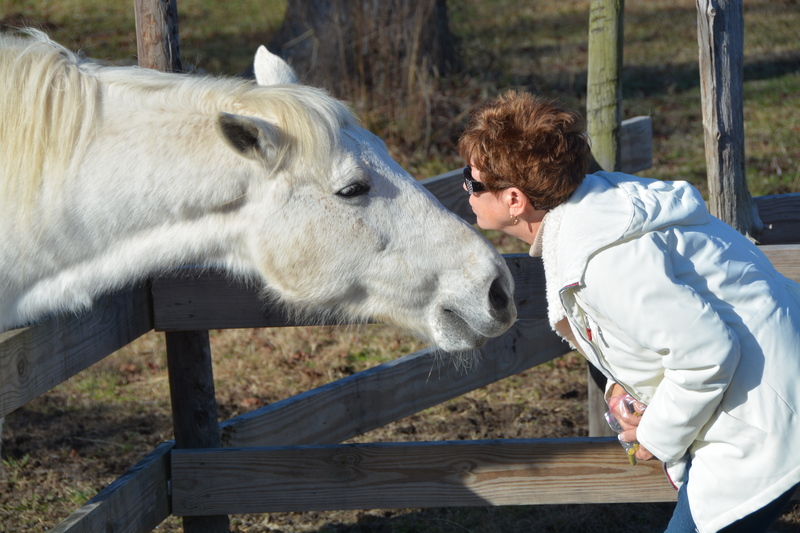 Beautiful horses, love your friendship with Aggie.